Online library of knowledge specially designed for children aged 8 to 13. Ideal for classwork, homework, projects and lesson plans. Q-files contains more than 1,600 pages of in depth and authoritative content and over 10,000 images for educational use. Content is arranged into nine major subject headings: Science, Technology, Life, Earth, Prehistory, Space, History, Geography and Culture. 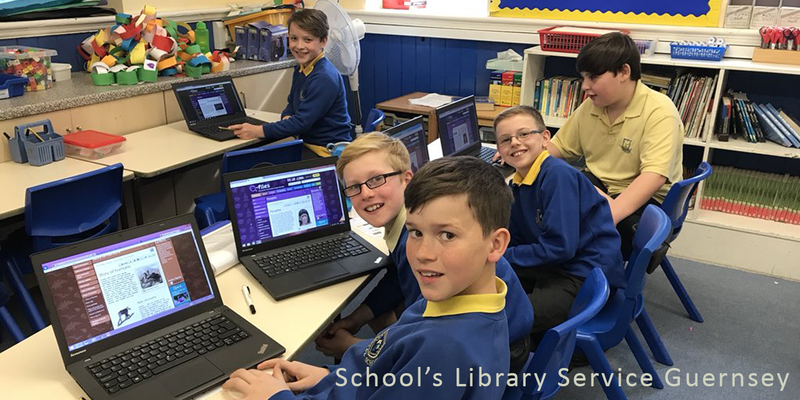 It is a safe and reliable place for students to begin to learn about how to carry out research online and how to navigate the best resources. The pages in Q-files have been written by specialist children’s writers and every page has been submitted to the detailed scrutiny of the Q-files team of consultants. Users can therefore be assured of the highest standards of accuracy and reliability. The Citation tool enables students to create citations for articles in APA, MLA, Harvard, and Chicago Manual Style. Each page includes text, captions, bite-size facts (“Q-facts”), illustrations, and photos. Many also contain diagrams, animations, and videos. The home page includes links to new sections in Q-files designed for younger readers (years 1-3) called LET’S EXPLORE and news items of particular interest to children (“Q-news”). Teachers can create lesson plans of their own design using Q-files’ content. Images, captions and text are free to use for this purpose with no permission required. 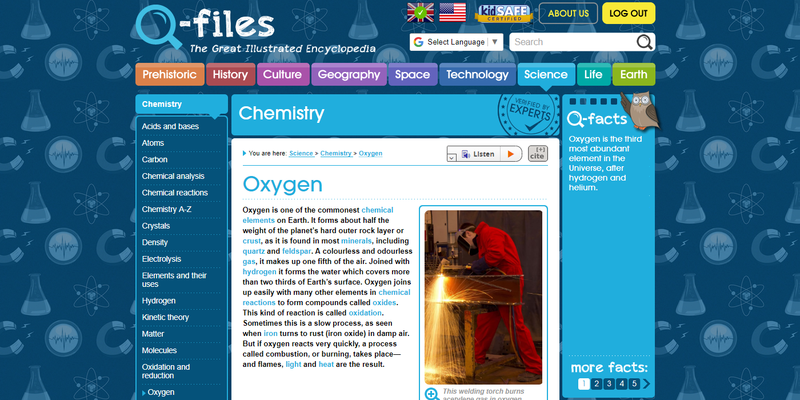 The Q-files search engine has been devised to make it as easy as possible for children to use. When a term is typed into the search bar, it will come up with either the right page, or offer a selection of just as handful of pages. Usage statistics are currently not available for Q-files. Use this colourful promotional video to let students and colleagues know about Q-files. Can I use Q-files on my phone or tablet? Yes. Q-files can be viewed on all computer devices. it is particularly suitable for use on tablets, where the portrait format and touchscreen facility allows children to explore what Q-files has to offer very easily. A customised version of Q-files for use on smartphones is on the way. What age group is Q-files suitable for? 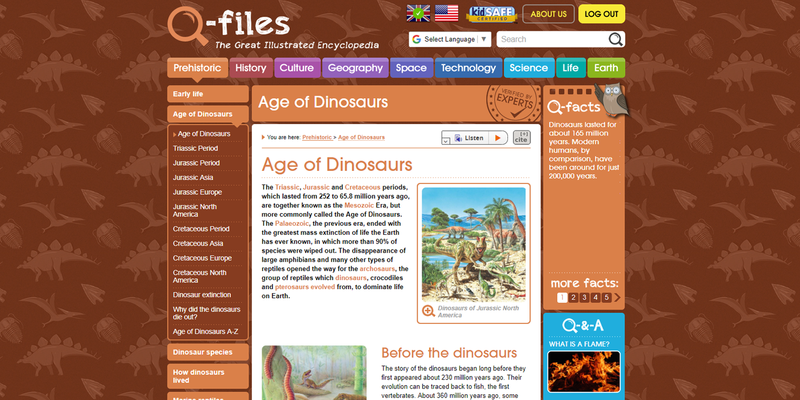 Q-files is ideal for children aged 8-13. But children younger than 8 will get a lot from the site too, which is highly illustrated and covers many hundreds of subjects of general interest. Students who are 14 or older may also find Q-files extremely useful, especially as an introduction to new subjects at school or as a glossary of unfamiliar terms. What subjects does Q-files cover? Q-files is a general encyclopedia. It covers an extremely wide range of topics under the following headings: Earth, Life, Science, Technology, Space, Geography, Culture, History and Prehistoric. Click here for a complete list of pages in Q-files. Does Q-files cover the school curriculum? Q-files is perfect for use in schools! Click here to find out the many ways it can help enormously with learning. The site is aligned with Key Stages 2 and 3 in the UK, grades 3 through 8 in the US and grades 5 through 10 in Australia and New Zealand. Who created Q-files? How can I be sure that the information in it is accurate and trustworthy? Q-files is the creation of Orpheus Book Ltd., one of the world’s leading producers of children’s non-fiction and reference books. All the pages in Q-files have been written by skilled specialist children’s authors and carefully verified by their expert team of academic consultants. How often is Q-files updated? Q-files is updated weekly—often even more frequently—as new discoveries are made, new facts emerge or better examples become available. New pages and improvements to existing pages are added regularly. The Q-news feature covers items in the news likely to be of special appeal to young readers, and is updated each week.